The idea that ‘you can’t be what you can’t see’ may be borrowed from another equally important fight for equality, but it certainly applies to the lack of diversity at management and boardroom level in a wide variety of organisations across the country. Not only have aspiring black managers lost a role model, the argument over better representation in football has lost one of its most passionate, yet moderate advocates. 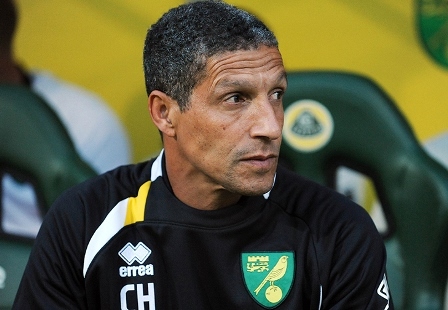 When events such as Hughton’s sacking occur, there are murmurings of a potential debate around whether enough is being done to ensure that professional football is truly representative at managerial and board level. The figures do not lie. 25% of professional players and 18% on PFA coaching courses are black or from other ethnic minorities, yet as of 6th April 2014, 0% of managers are black or from other ethnic minorities. This issue is by no means unique to football, or to sport for that matter, and is something which increasing numbers of academics believes is having a serious impact on aspirations. During his time as manager of Newcastle United, Chris Hughton spoke to Show Racism the Red Card about his own experiences of racism and gave his views on the lack of representation within the game. Show Racism the Red Card honorary president Shaka Hislop has also spoken out about the issue and about criticism of the ‘Rooney Rule’ as an artificial process which undermines the idea of appointing the strongest and most qualified candidate for a role. Show Racism the Red Card believes that it is now time for a serious debate around the introduction of the Rooney Rule within professional football. Often misunderstood, the Rooney Rule was implemented in American Football over 10 years ago, and has worked to increase diversity and representation within the game over the last decade. The rule requires every team with a coach or general manager opening to interview at least one minority candidate. It has worked. Since the Rooney rule was implemented in 2003, 17 teams have had either an African-American or Latino head coach or general manager. Three teams – the Chiefs, Colts and Raiders have had more than one head coach from a BME background. Prior to the introduction of the rule, there had only ever been seven BME head coaches in the NFL’s 80 year history. The introduction of the Rooney Rule needs to be given serious consideration; not in light of Chris Hughton’s sacking, nor as a result of Sol Campbell’s comments about racism within the game, but because in a fair and equal 2014, proportionate representation is long overdue.